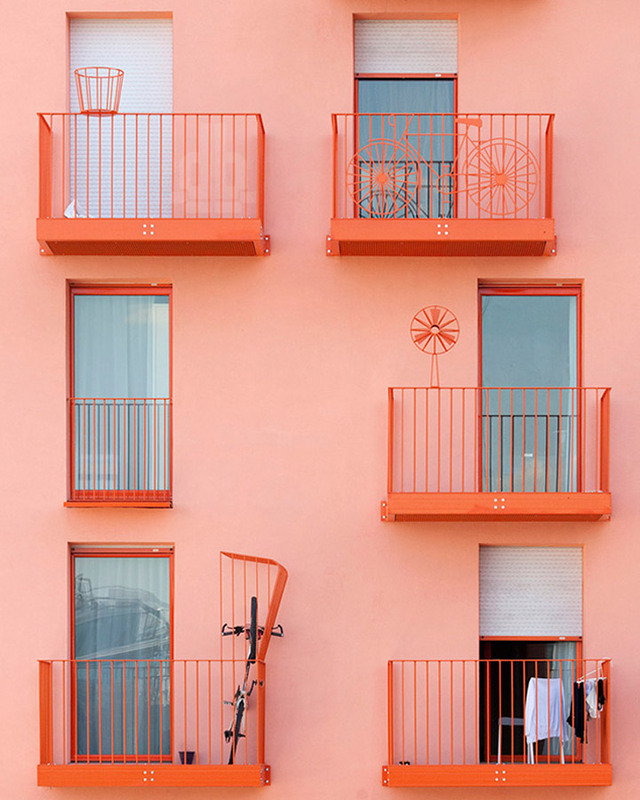 The world has become obsessed with pink hues, and architecture is no exception. 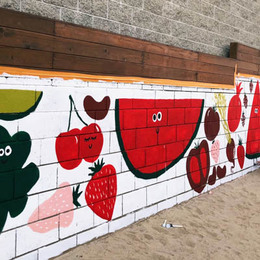 Though hugely successful in fashion and pop-culture (and Instagram), "Millennial Pink" has established a presence across design products and the built environment like never before. 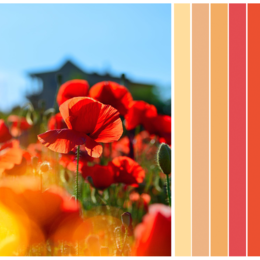 Color has always been is a fundamental tool in our perception of architecture, but the use of this muted shade of pink is a trend that we feel is here to stay. 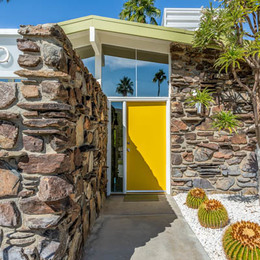 Check out these six projects highlighting this bright and friendly color. 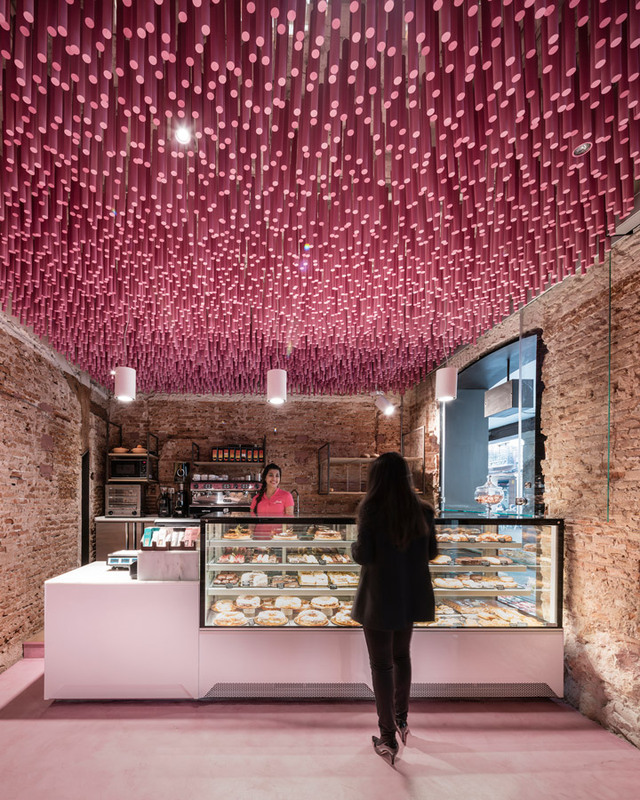 Pan y Pasteles Bakery, designed by Ideo Arquitectura and located in Madrid, Spain, features 12,000 undulating pink-painted wooden sticks hanging from the ceiling of the entire interior. 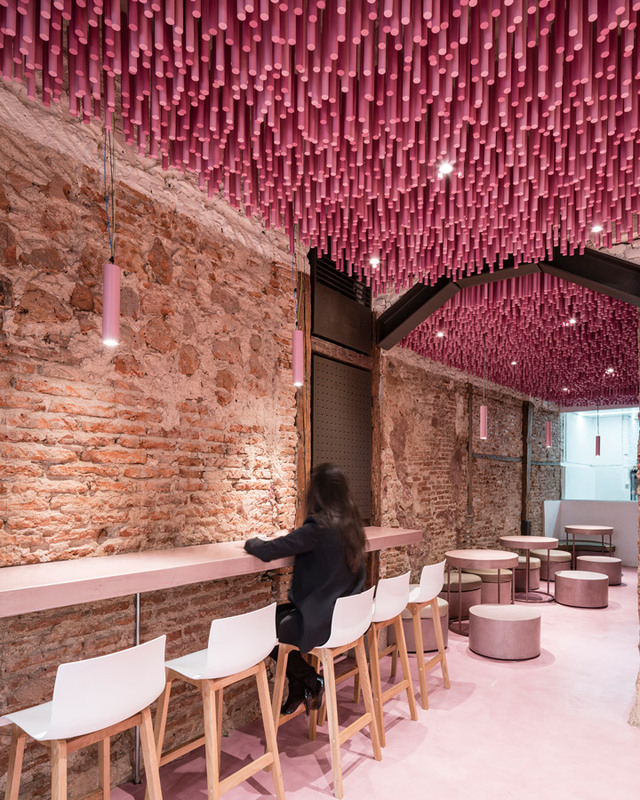 The aged characteristics of the original site are maintained and enhanced with the artistic installation suspended above customers as they shop and eat. The designers tried to simulate an indoor coral reef, whose "tentacles" undulate from the entryway to the edge of the site. At slightly varying heights, the wooden poles seem to oscillate, drawing visitors toward the rear of the space. 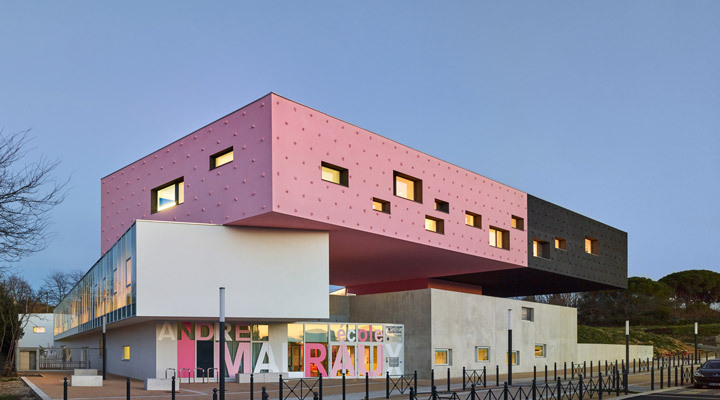 "André Malraux" School, in Montpellier, France, and designed by Dominique Coulon & associés, is composed as a series of stacked volumes. 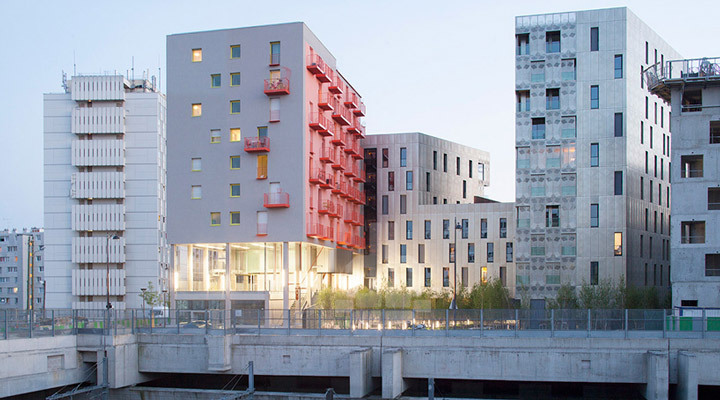 Each volume is designed as an autonomous element, displaying a range of colors and materials. 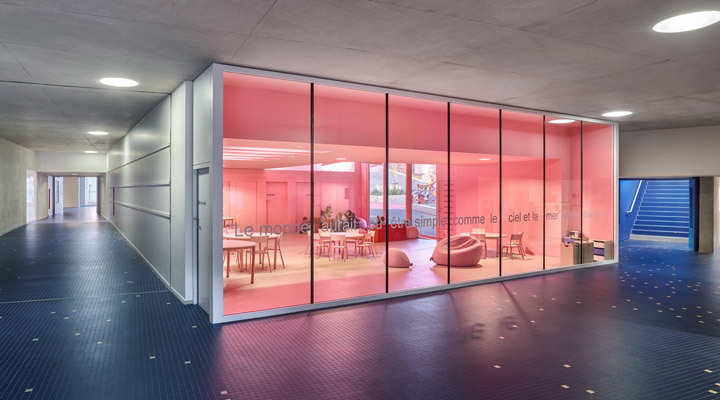 The color pink remains prevalent throughout the building’s interior and exterior, and the design challenges traditional schemes to create spaces that are better suited toward its children’s needs and behaviors. The office of the NGRS Recruiting Company is located in the center of Moscow and designed by Crosby Studios. 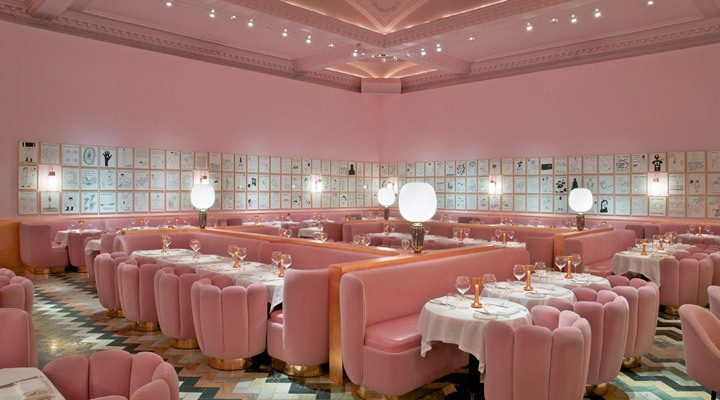 The interior is primarily monochrome, with the only accent being the shiny, pink floor, creating a sort of "museum atmosphere." 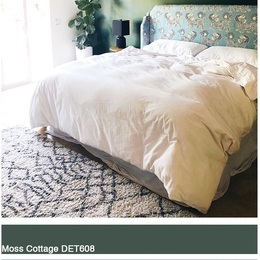 The designers looked for inspiration in theater and in Wes Anderson movie sets to create a harmonious, modern environment. 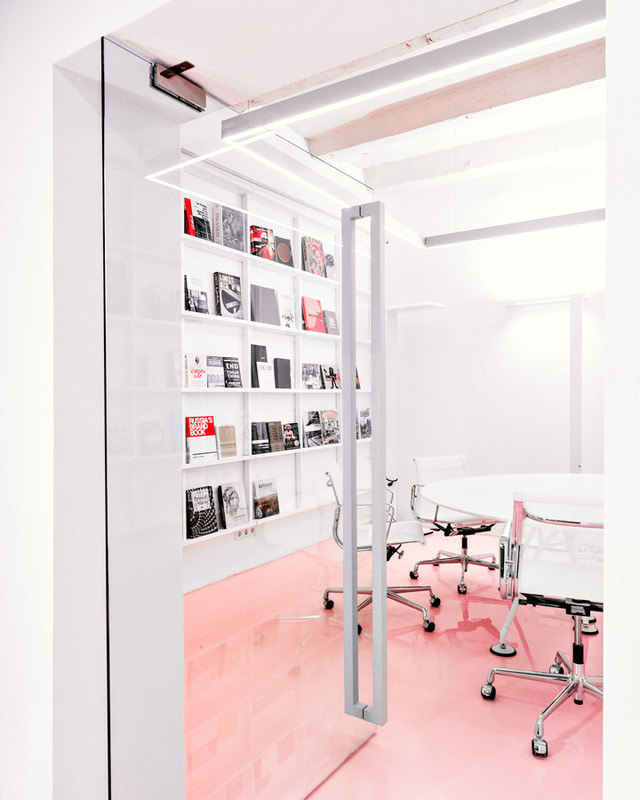 The total area of the office is only 168 square meters (1800 square feet) yet Crosby’s design solutions — using glass partitions, white wall and ceiling color, and the pink floor — make it look spacious. 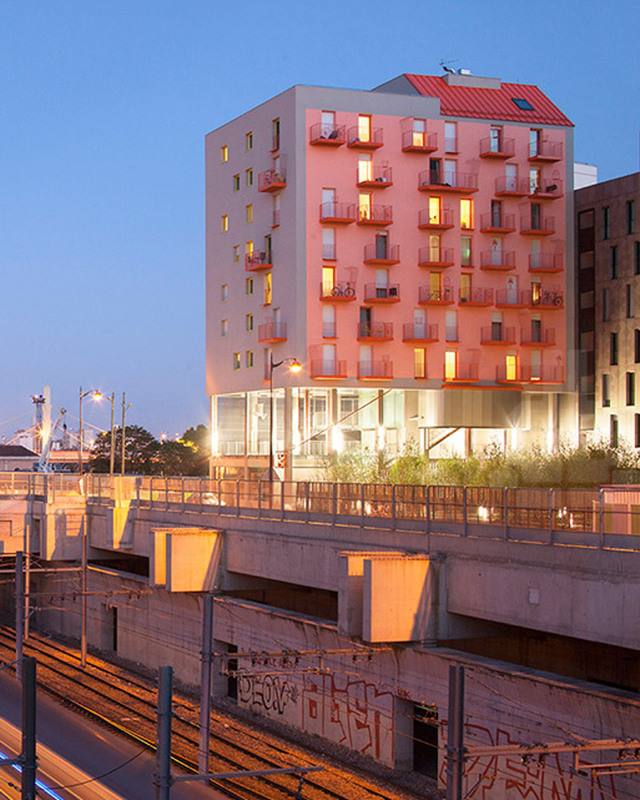 Constructed over a railway on the east side of Paris, Pink Flamingo, a dormitory designed by French architect Stéphane Maupin, is a foundation-less building supported by 27 piloti connected to a concrete slab. 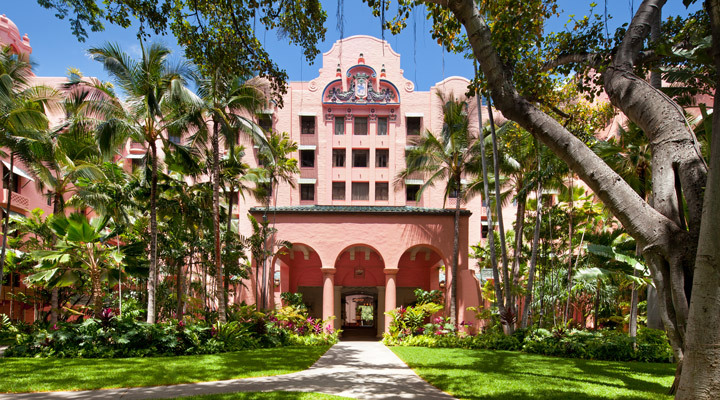 The residence is wrapped in a distinctive color palette, with two faces painted with a neutral finish, and the others painted a light pink. 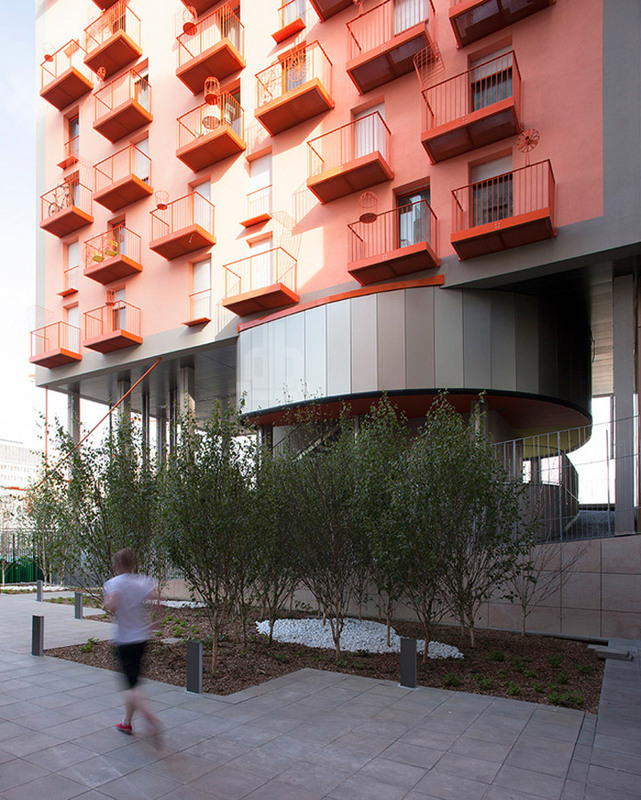 Painted artistic fans, bicycles and bird cages adorn the balcony railings, providing a fun variety to the facade. 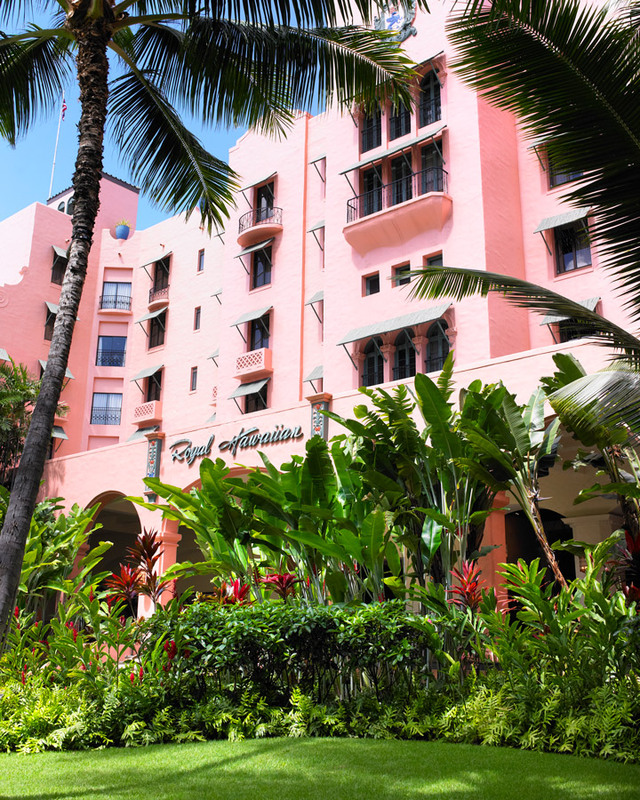 Since its debut in 1927, Waikiki’s iconic Royal Hawaiian Hotel has boasted a beautiful salmon-colored stucco façade; sprawling Spanish-Moorish architecture; and pink details, including bed linens, towels, tablecloths and napkins. 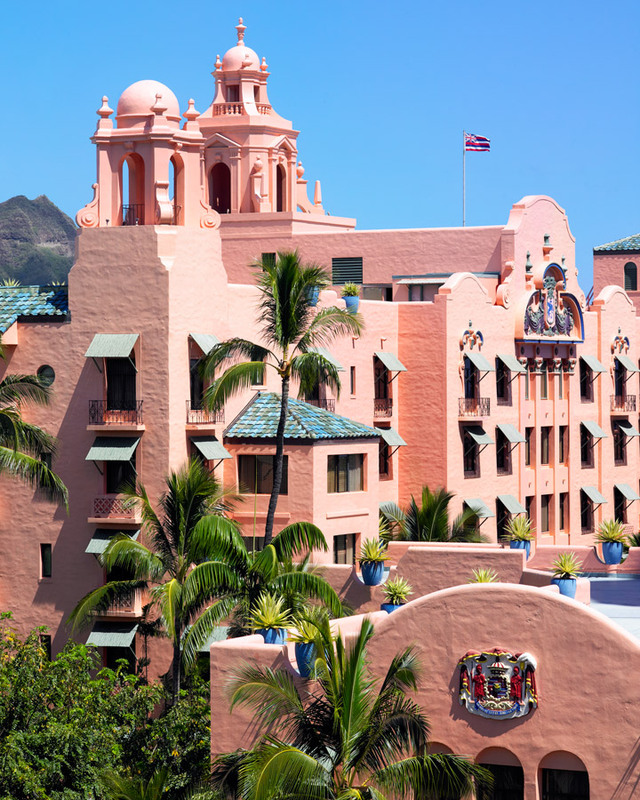 Earning the nickname "Pink Palace of the Pacific," the hotel ushered in a new era of luxurious resort travel to Hawaii. 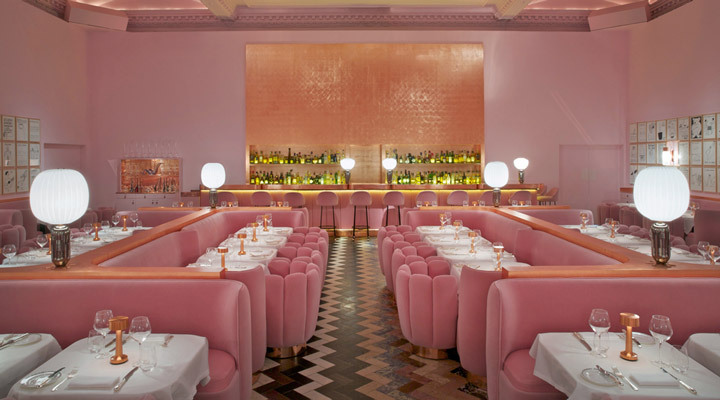 The Gallery at Sketch Restaurant, designed by India Mahdavi and located in London, is one of the earliest adopters of the pink aesthetic, and is also one of the most celebrated. 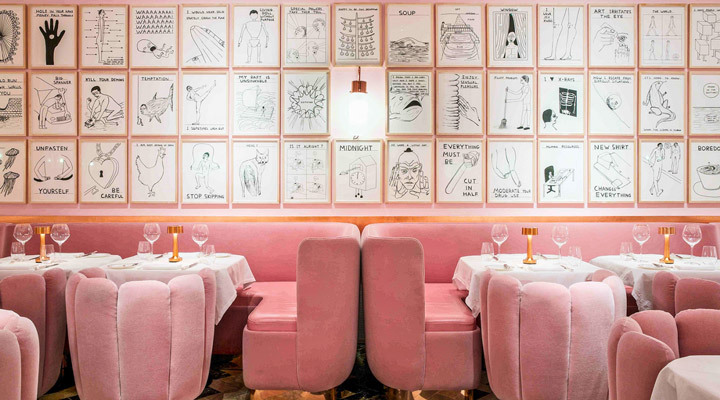 Boasting classic, almost bourgeois dusty-pink pastels, this 18th-century tea house and cocktail lounge features bulbous chairs and velvet-upholstered banquettes. The whole space is grounded by glorious chevron-patterned and multi-colored tiles on the floor and the majestic glass dome above.